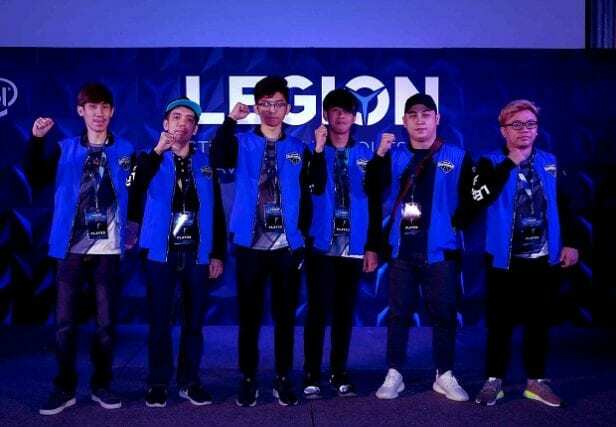 Tech giant Lenovo saw its “Legion of Champions Series III (LoC III)” grand finals come to the end of its journey in a spectacular fashion, with team Awe Star from Korea, lifting the championship trophy in triumph as part of their first LoC tournament win. The annual eSports tournament, held recently in conjunction with Intel, pulled in an impressive crowd, bearing witness to the intense competition that unfolded over the last three days. “I’m proud to share that this is the third consecutive year that we have provided an excellent platform for the next generation of gamers to gather, compete and network with each other. 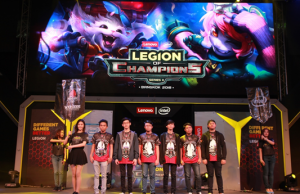 It is also a chance for us to engage them and ensure that the Legion brand is evolving with their needs”, said Ken Wong, president for PCs and smart devices at Lenovo Asia Pacific. Team Awe Star’s triumphant efforts saw them walk with a total prize money of $7,000 and $5,000 worth of Legion Y530 notebooks, while the first and second runners-up, team Diamond from Taiwan and team Mega Esports from Thailand, took home $3,000 and $2,000, respectively. Team ArkAngel from the Philippines clinched the fifth spot, with $900 cash prize.